I hope you guys had a wonderful Christmas. Quick outfit post. My outfit yesterday was pretty simple and festive. I wore a beautiful green spring coat as a dress because I always over eat at Christmas dinner. 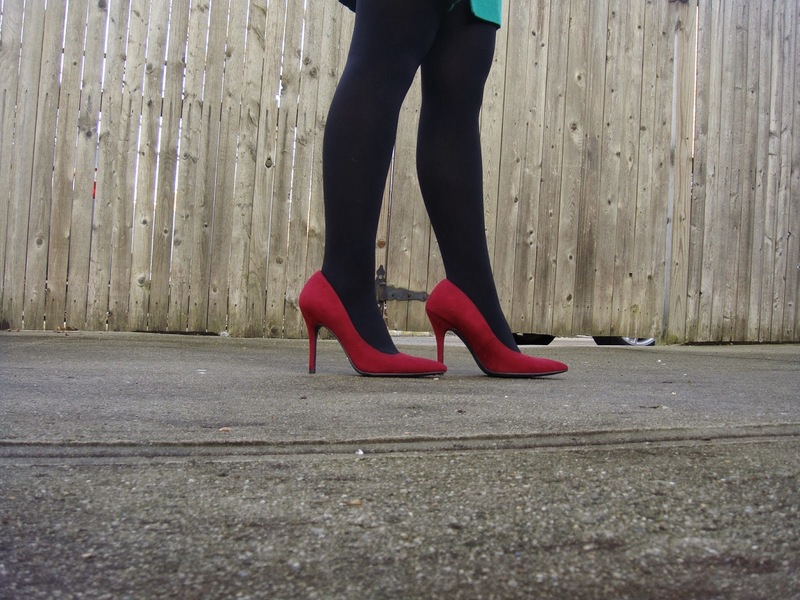 Paired this beauty with black tights and gorgeous maroon suede heels. Green and red-ish totally Christmas colors. 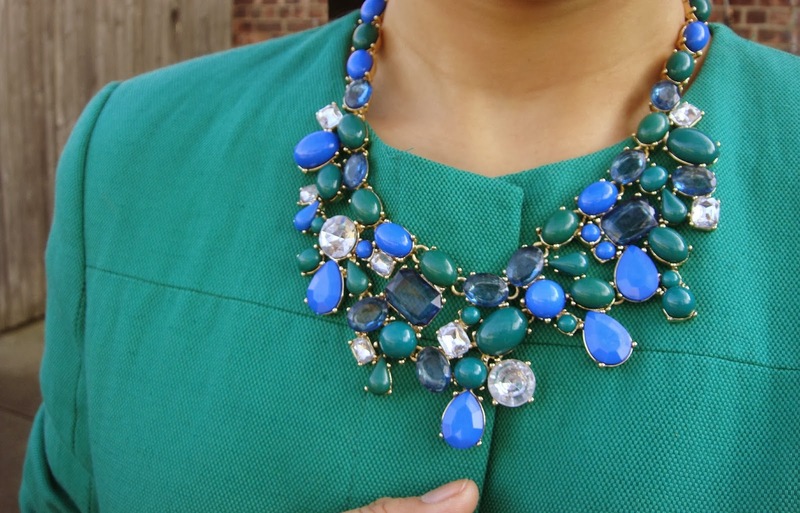 Also added a pair of beautiful statement necklace and some rings to complete my ensemble. Enjoy. Love the quote and the necklace is stunning ♥ You look gorgeous! I like the outfit! has oldschool feel to it! I absolutely love the necklace ! The colour of your coat is fab! Love! nice color on the jacket! Wow... this is one of my fav outfit of yours!!! Great color combo: amazing coat and very cool,accessories!!!!!! Thank you for visiting my blog! Do you want to see my last post and participate in my giveaway? You look so chic and stylish! The coat is amazing! The shape and color of the coat are stunning. Love how you're wearing the necklace over the coat. I like your look. Happy new year. Such a pretty outfit, the red shoes are a great kontrast. 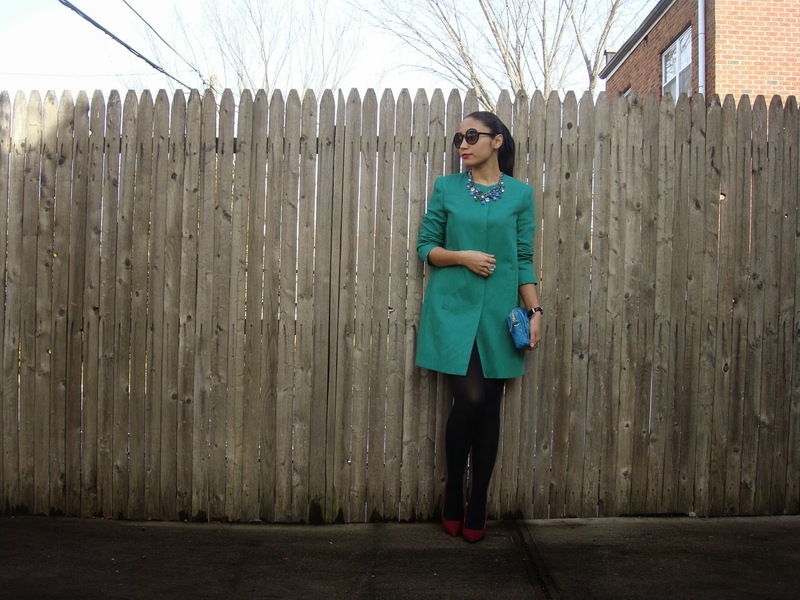 You are a Lovely Mademoiselle Style in the cold out there! Great outfit! )I love your coat! That is such a great quote Vikee! 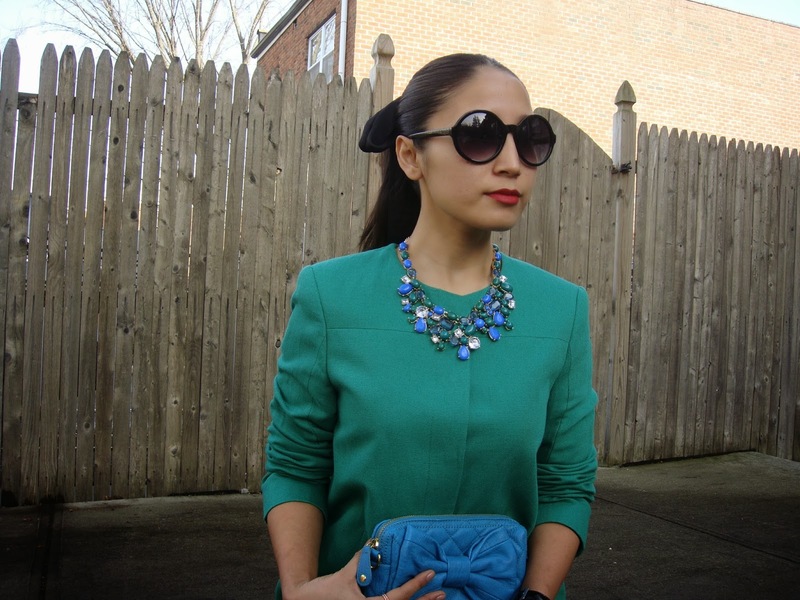 I love your green coat and statement necklace! So festive:)! Hope you're having a wonderful holiday season! and I am loving the color of that lovely coat. love this coat color, so pretty!! Great personality and huge photos ! The green color suits you so well! Heyy! you've got such a lovely blog!! Stay in touch..
Would you like to follow each other?? Do let me know! omg i'm in love with your coat, it's so awesome. such a beautiful teal coat ! Hope you'll come and visit mine soon! The color of the coat is so beautiful, and the red of the shoes makes it pop even more without over powering the outfit.